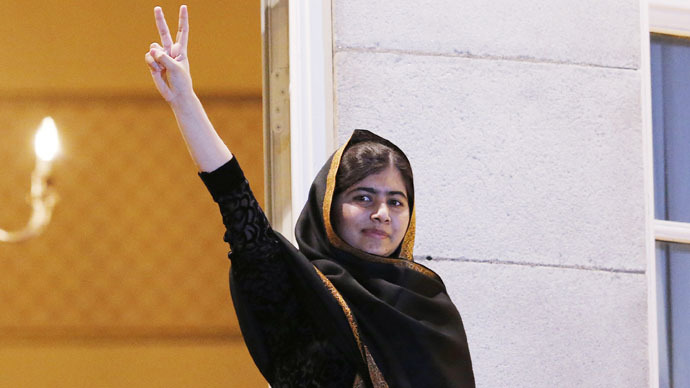 Only two of the 10 men charged with attacking Nobel Prize winner Malalai Yousafzai are still in prison, despite reports they were all handed life sentences by a court in Pakistan, it has emerged. In April, Pakistan authorities announced the Taliban militants who shot Yousafzai in 2012 had all been handed life sentences for their part in the attack. She was shot in the head while traveling to her Swat Valley home on a school bus, having offended the group with her advocacy for girls’ education. Yousafzai was later flown to the UK, where her injuries were treated at a Birmingham hospital. At the time of the trial, many questioned the level of secrecy, fears which appear to have been justified. “Ten men are not behind bars for the crime, as the Pakistani authorities would have us believe. That is a big lie,” the source said. In 2014, Yousafzai and Indian activist Kailash Satyarthi were jointly awarded the 2014 Nobel Peace Prize. They earned the award for “their struggle against the suppression of children and young people and for the right of all children to education,” the award’s committee said in a statement. “The Nobel Committee regards it as an important point for a Hindu and a Muslim, an Indian and a Pakistani, to join in a common struggle for education and against extremism,” said Thorbjoern Jagland, head of the Norwegian Nobel Committee.